Fairline Yachts are British builders of cruising yachts from the mid-30 foot range up to boats in the mid-60 foot segment. 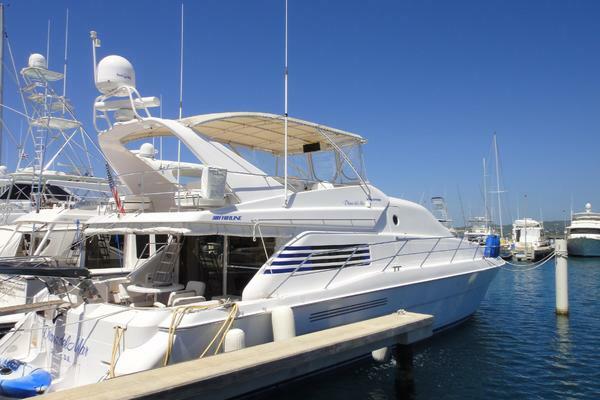 Let the professional team at United Yacht Sales help you find the perfect used Fairline Yacht for sale on the market today. Fairline Yachts are located at the Oundle Marina in Oundle, United Kingdom.  Jack Newington began Fairline Yachts in 1963 when he acquired an assortment of inactive gravel pits by the River Nene (including the land between the main lake and the road) and turned the area into the Oundle Marina. The Fairline 19 was the first Fairline launched in 1967. Fairline Yachts began working with Italian Designer Alberto Mancini in 2016 for a contemporary style of their yachts and have won many awards since then. They use the most advanced navigation and audio/visual technology to produce their industry-leading yachts that pair space with sophistication. In 2018 Fairline began work on a new manufacturing facility at the Fairline Marine Park in Southampton so they can build even larger yachts than they have in the past. The F-Line 33 is the first model in the new “F-Line” series of express cruiser that is set to launch in January 2019. It offers a high performance day boat and precision engineering, featuring powerful petrol or diesel stern drive engine options from Volvo Penta. 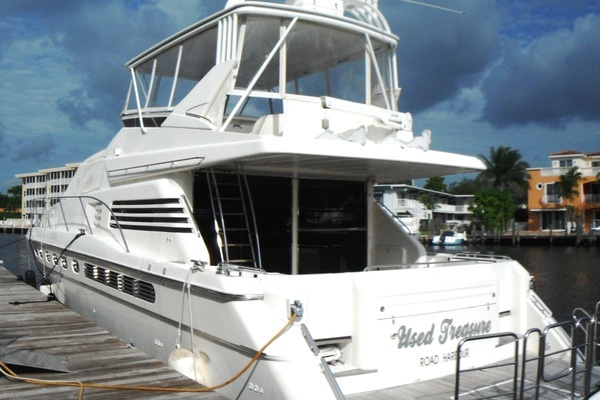 It has an expansive foredeck and comfortable cockpit with an open plan forward cabin and fold down transom. It has wrap-around windows to let in plenty of light with a full-standing height ceiling and hand polished deep lacquered woodwork. 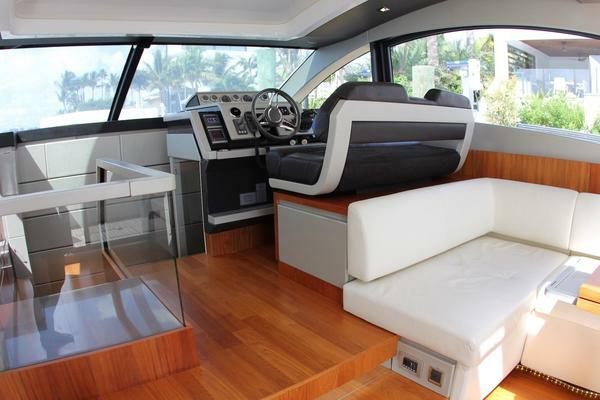 It also has a large forward sun bed and aft seating area. The lower deck features a mid-cabin with double bed, day head with shower, U-shaped seating with table and bed conversion. The first Fairline Targa was launched in 1985. The Targa Series from Fairline comes with powered sliding sunroofs, sweeping hull windows, oversized sun beds (aft and foredeck), large foredecks and cockpits, and comfortable saloons. Also comes with a garage for your tender. Targa Models are: 43’ Open, 48’ GT, 48’ Open, 53’ GT, 53’ Open, 63’ GTO, and 63’ GT. The Targa 53 Open and Targa 63 GTO have been shortlisted in Motor Boat of the Year Awards 2018 for “Sports Cruisers Over 45 Foot” category. 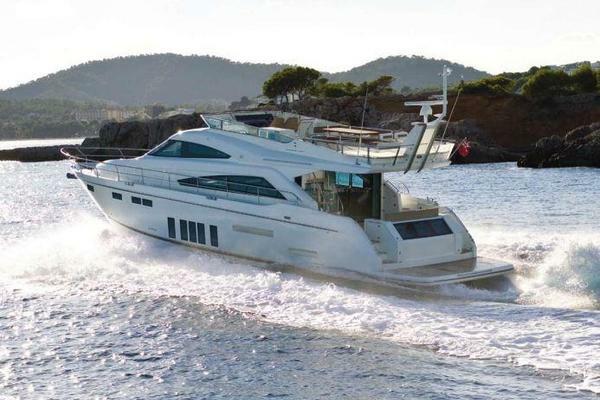 The Squadron line was launched in 1991 and brought Fairline into the large yacht market. The Squadron Series from Fairline have several layout options, large flybridges and cockpits, foredeck seating, cabins with full-height ceilings and open en-suites, submersible or fixed bathing platforms, hydraulic engineering to launch the tender. The Squadron Models are: 48’, 53’, 64’, and 65’. The Squadron line of boats are perfect for family adventures. If you are interested in selling your Fairline Yacht, United Yacht Sales will provide a strategic marketing plan for your Fairline Yacht, it is our duty to get it sold and do it right. 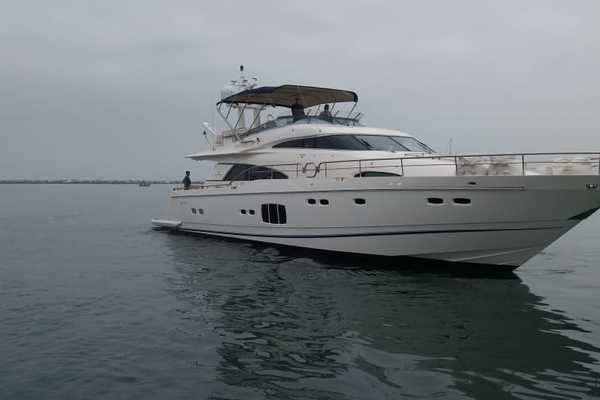 If you are looking for a used Fairline Yacht, United Yacht Sales is the best qualified to help you with your boating needs with over 30 years of experience in the yachting industry. 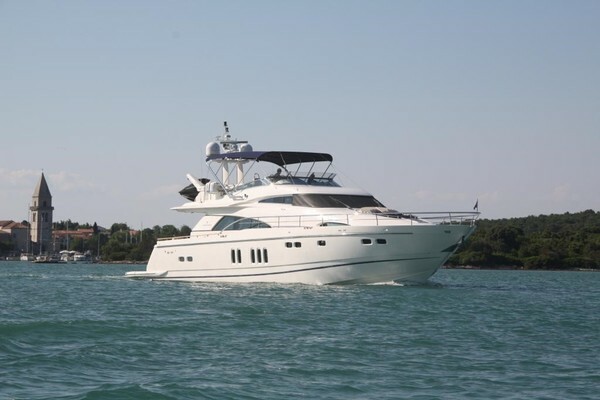 With connections throughout the world there is no doubt United Yacht Sales can find your next Fairline Yacht. We provide complete worldwide MLS results, provide a network of brokers and industry leaders, and we won’t stop until you have the Fairline Yacht of your dreams.